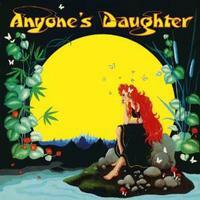 This reissue of the eponymous Anyone’s Daughter album is classy. It’s high quality vinyl, and very much worth having. Musically, this lands closer to the AOR side of progressive rock, but it’s strong no matter how you label it. This comes in with a dramatic progressive rock flourish. It grows out from there into more AOR prog. Somehow the vocal line (not the sound) reminds me a bit of John Wetton. Although I would say it’s definitely in the AOR end of the spectrum, this is strong progressive rock. With some fairly intense instrumental work, this prog tune is quite a strong one. It’s perhaps not as instantly accessible as the opener was, but it’s every bit as effective. This is a mellower, keyboard driven excursion. It’s quite a nice change of pace. Coming in quite dramatic, this is powerful prog, plain and simple. This has a lot of energy and rocks out a bit harder than some of the rest, really. The best cut of the side, this is perhaps mellower and less direct than some of the others. It reminds me a bit of the most purely prog side of Klaatu. It’s a powerful musical journey that really works especially well. It’s dramatic and dynamic and just plain strong. This is a powerful progressive rock piece. It’s one of the more hard rocking at times. It’s also one of the most dynamic here. It is another that makes me think of Klaatu just a bit. Coming in with intricate picked guitar, this works out from there in fine fashion. It’s balladic and quite pretty as it builds. After running through in that fashion for a time, it works out to an energized, harder rocking jam that’s a bit like fusion. There is some scorching guitar soloing and impressive bass work built into this. It’s one of the real highlights of the set. Shifting this way and that, this short (less than a minute and a half) instrumental is great stuff plain and simple. It has some great twists and instrumental magic. It seems to tie directly into the album closer. As this starts with intricate, fairly mellow progressive rock, it feels quite a bit like vintage Genesis to me. It works out into dramatic melodic progressive rock that, while rather mellow, is quite intense in a lot of ways. It makes its way back to the earlier sections to eventually close.